I've known about Ikue Sakakibara （榊原郁恵）since her appearance on the 1981 Kohaku Utagassen when she performed the dynamic "Shining Love", and although over the decades, I've seen her more as the quintessential TV tarento/commercial pitchperson than the bikini-wearing aidoru, I've been aware of this single she released back in 1980 which has been regarded as one of the pioneering techno kayo songs. "Robot" was Sakakibara's 17th single in June 1980, and when I first heard about this pre-"Shining Love" song, I naturally assumed that Yellow Magic Orchestra and its members would be listed in the liner notes. Nothing was further from the truth. Instead it was written by Takashi Matsumoto （松本隆）and composed by Kyohei Tsutsumi（筒美京平）. However, considering the popularity of the technopop band at the time and the lyrics of the song which dealt with a robot in love, it wasn't too surprising that the cute synths were brought in for Ikue. Speaking of the synths, it seems like they were also brought in for Manna's "TOKIO Tsushin"（TOKIO 通信）in the same year. 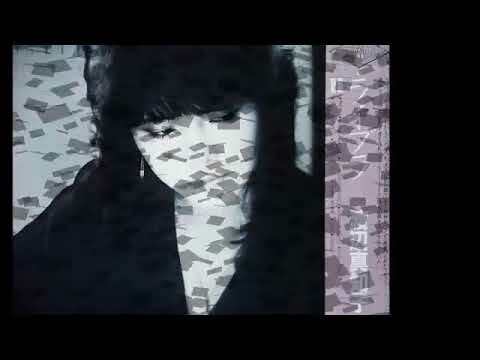 Finally, getting to listen to "Robot", it was interesting to hear Ikue's bubbly voice against the backdrop of a blippy-bloppy computer melody instead of the usual meowing electric guitar and the fast-paced strings of the time. In a way, it kinda foreshadowed where Miharu Koshi's （越美晴）career would go in the early 80s although at this time, Koshi was still in City Pop mode. And then there was watching performances of the song as above with the smiling aidoru doing her version of The Robot...I wonder if later units like Wink or Perfume may have taken some inspiration. Strangely enough, she apparently didn't end up anywhere on the annual 1980 Oricon rankings although she was able to appear in that year's Kohaku Utagassen for the third of her six appearances on the New Year's Eve special. It would be fun to hear some of the other pioneer techno kayo at that time.